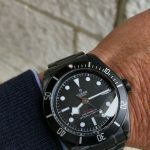 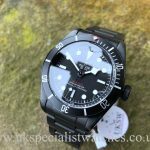 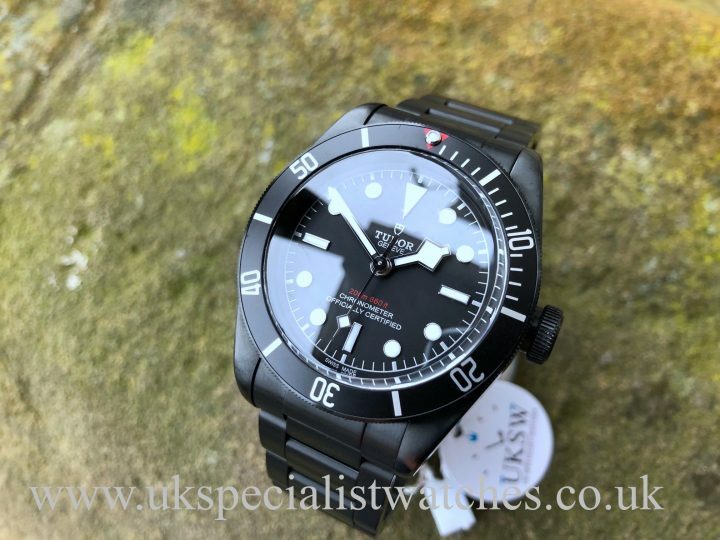 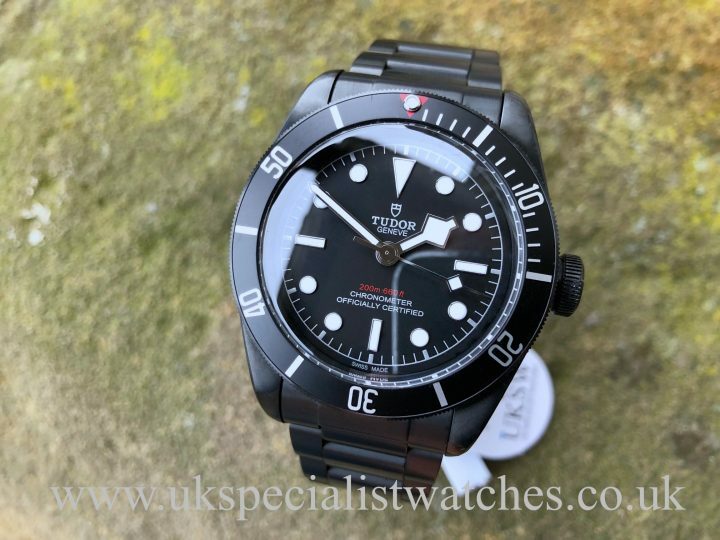 Tudor Heritage Black Bay Dark M79230DK. 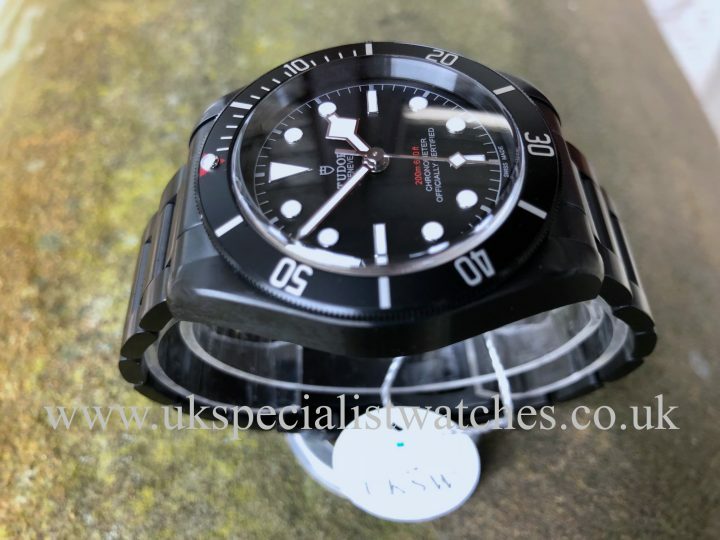 41mm steel factory black PVD case, Black dial with the depth rating written in a red font like the old vintage submariners and Sea Dwellers. 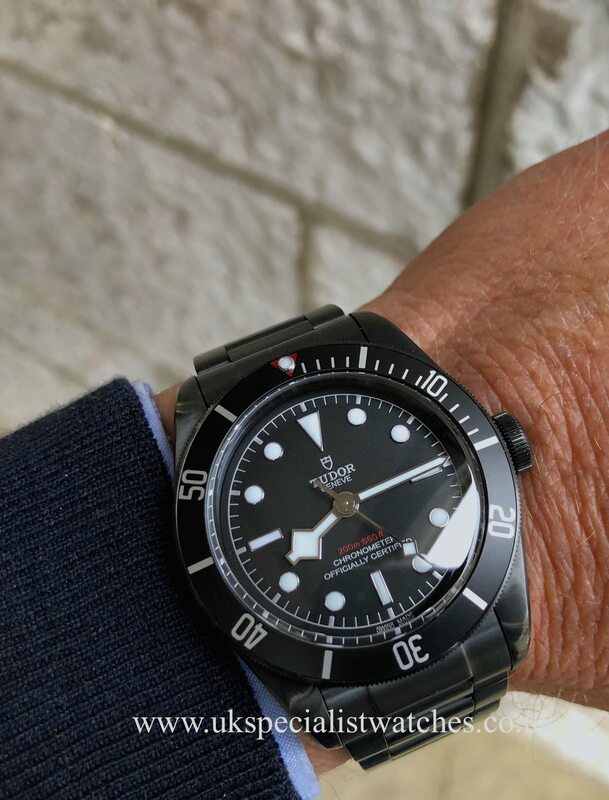 “Snowflake” hands and uminous hour markers and uni directional bezel. 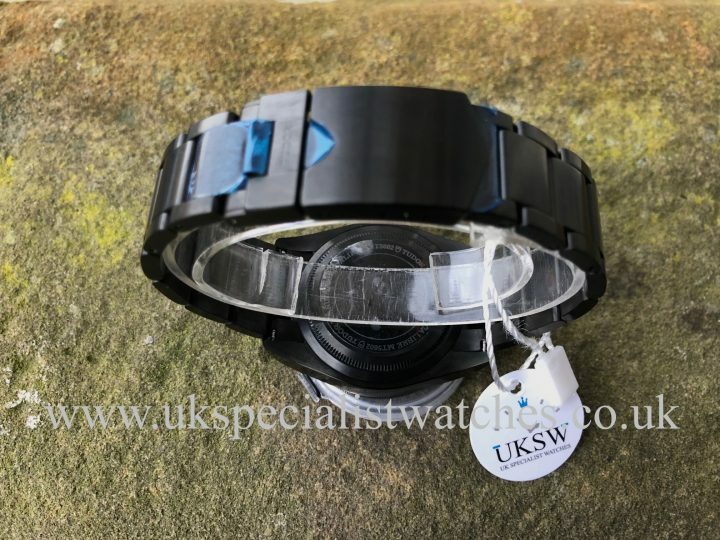 Factory steel black PVD bracelet with folding clasp. 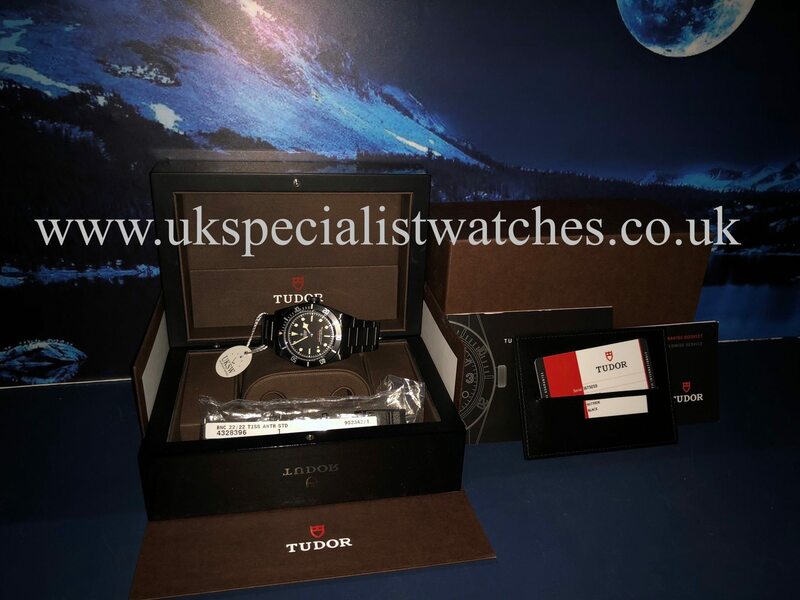 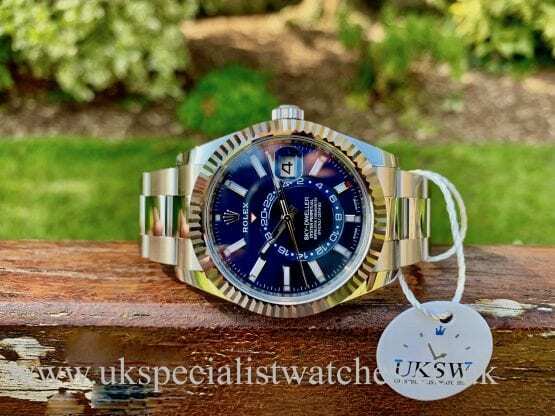 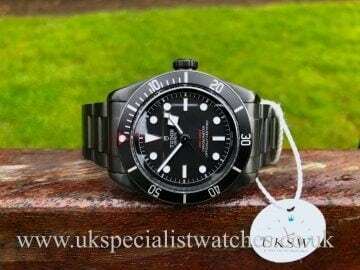 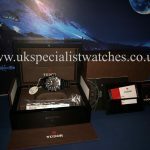 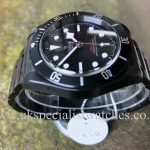 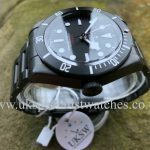 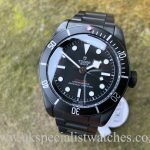 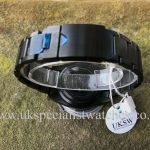 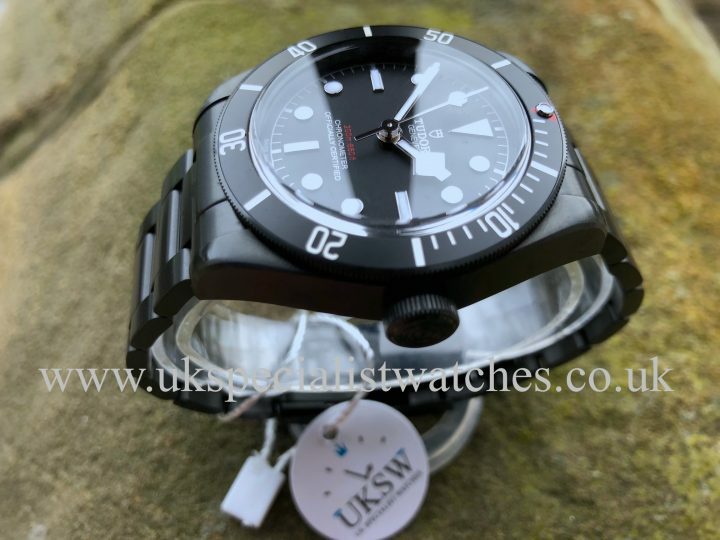 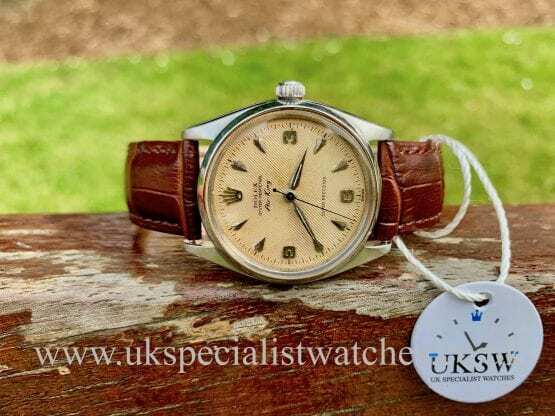 Our unworn example comes totally complete still with bracelet stickers, all boxes and booklets, stamped warranty card dated May 2017 comes also with an additional genuine Tudor strap.